NAMED ONE OF THE BEST BOOKS OF THE YEAR BY "THE BOSTON GLOBE, KIRKUS REVIEWS, BUSTLE, "AND EMILY GOULD, "THE MILLIONS"
For fans of J. Courtney Sullivan, Meg Wolitzer, Mona Simpson, and Jhumpa Lahiri comes a winning, irreverent debut novel about a family wrestling with its future and its past. With depth, heart, and agility, debut novelist Mira Jacob takes us on a deftly plotted journey that ranges from 1970s India to suburban 1980s New Mexico to Seattle during the dot.com boom. 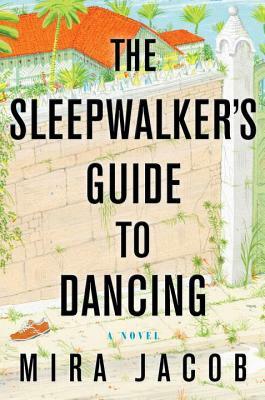 "The Sleepwalker's Guide to Dancing "is an epic, irreverent testimony to the bonds of love, the pull of hope, and the power of making peace with life's uncertainties. Praise for "The Sleepwalker's Guide to Dancing"
With wit and a rich understanding of human foibles, Jacob unspools a story that will touch your heart. " People "
By turns hilarious and tender and always attuned to shifts of emotion . . . Jacob s] characters shimmer with life. "Entertainment Weekly"
A rich, engrossing debut told with lightness and care. "The Kansas City Star"
A] sprawling, poignant, often humorous novel . . . Told with humor and sympathy for its characters, the book serves as a bittersweet lesson in the binding power of family, even when we seek to break out from it. "O: The Oprah Magazine"
Moving forward and back in time, Jacob balances comedy and romance with indelible sorrow. . . . When her plot springs surprises, she lets them happen just as they do in life: blindsidingly right in the middle of things. " The Boston Globe"
This is an effortlessly gorgeous and rich book. Its prose is lovely and precise, alternately luminous and direct; its observations of people and families and the physical world are poignant and a delight. The dialogue is sharp, funny, and true. This is a triumphant debut Jonathan Ames, author of "Wake Up, Sir "
Mira Jacob is the founder of Pete s Reading Series in New York City and has an MFA from the New School for Social Research. She lives in Brooklyn with her husband and son. "The Sleepwalker s Guide to Dancing "is her first novel." “The Sleepwalker’s Guide to Dancing is an effortlessly gorgeous and rich book. Its prose is lovely and precise, alternately luminous and direct; its observations of people and families and the physical world are poignant and a delight. The dialogue is sharp, funny, and true. This is a triumphant debut!”—Jonathan Ames, author of Wake Up, Sir!